What is the ideal word count for IELTS writing? This is a common question many IELTS candidates have, but there seems to be misinformation out on the internet about word count in the IELTS writing section. In fact, you can actually lose marks if the writing is under word count. Here are some examples of what I have heard about the word count in IELTS essays and writing task 1. Let’s take a look at grammatical range and accuracy in writing. Many IELTS test takers think that they need to have a wide range of grammar for a high score in grammatical range and accuracy in the writing section. This is only partly true. If you have a wide range of grammar but it is not accurate then it will not score very high. My advice is to focus on accuracy rather than range. You need to think of the reader when writing. If you are just trying to impress the examiner then you are not considering the overall coherence of the essay. Keep it concise and simple. Of course, if you have a consitently wide range of grammar with good accuracy then you are well on the way to a Band 7 or more. Read moreWhat’s more important in grammar, range or accuracy? 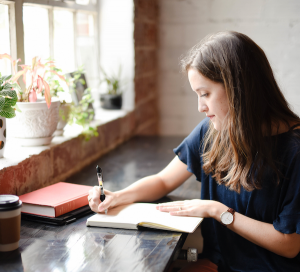 An IELTS essay is a ‘discursive essay’ where you may have to discuss an issue, give an opinion, explain the advantages or disadvantages, write about problems or causes of problems and give solutions. There are 5 variations to an IELTS discursive essay. 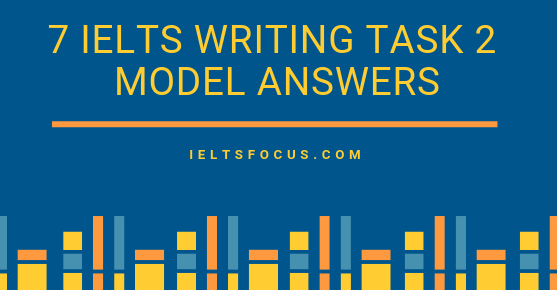 In this blog post there are 7 model answers for IELTS writing task 2, these are based on essays my students have written with help from me to correct them and make them more concise and clear. Make your own IELTS study plan. Setting up your own personalised IELTS study schedule. If you are serious about getting a Band 7+ in IELTS, then you need to get very organised and focused. Consider making your own IELTS study plan. There is a YouTube video here about this and 5 steps to take below that video. Everyone has different weaknesses in IELTS, so it is really your responsibility to make a study schedule. Motivation is crucial here too, if you can find a study partner, then that will help you a lot with motivation. The best option is to have a teacher who can check your writing and evaluate your speaking giving feedback along the way. Read moreMake your own IELTS study plan.